Then Peter, filled with the Holy Spirit, said to them, ‘Rulers of the people and elders, if we are questioned today because of a good deed done to someone who was sick and are asked how this man has been healed, let it be known to all of you, and to all the people of Israel, that this man is standing before you in good health by the name of Jesus Christ of Nazareth, whom you crucified, whom God raised from the dead. Lent is perhaps one of the most helpful seasons to us in discerning our predicament, that which calls us to cry out ‘Lord Jesus Christ, Son of God, have mercy on me’. Secondly that giving things up has been replaced by picking something up . . . and yet Lent was always a time for both. We fasted AND prayed AND gave alms. And we might note, like perhaps giving up things that we shouldn’t have picked up in the first place, these things we pick up are perhaps those things in which we should be engaged all of the time – feeding the hungry, clothing the naked, visiting the lonely. These practices of Lent should take root, change us – better ‘HEAL us’. It is after all a time for that most fundamental changes Repentance which is the Heart of the Jesus prayer, it is our responding to his presence and his command to ‘take up our mat and walk’. But what does that repentance mean? Why is the continual praying of the Jesus prayer understood as so central to that? Let us take a moment to consider a well known, but perhaps oft misunderstood passage of scripture. What is drawn to your attention? Martha embodies us all – not in her busyness per se, but in her ‘distractedness’. Where is our attention? Caught up in Our Life? The method of the Jesus Prayer is to bring the distracted head, into the heart. to this end some people use certain postures and breathing techniques when praying the prayer, but these are not recommended without the accompaniment of a staretz. Through our baptism, Christ dwells in our hearts. Through the praying of the prayer we are to make find our home in him, and thus find our true home. Lent, in stripping away those distractions which we use to insulate us from the presence of God in Jesus, awakes us to SOME of the sense of our predicament. As we noted previously, not all of it, for we would not survive the revelation, but enough to be going on with. And this stripping away is of urgent necessity. For we do not know what we are doing. We are largely unconscious in the most profound sense. And that lack of consciousness is compounded in the Western tradition where we have reduced sin to an individualised moral disorder. Like children we say ‘I didn’t do it!’ Jesus said, ‘I came into this world for judgement so that those who do not see may see, and those who do see may become blind.’ Some of the Pharisees near him heard this and said to him, ‘Surely we are not blind, are we?’ Jesus said to them, ‘If you were blind, you would not have sin. But now that you say, “We see”, your sin remains. If we might join for a moment in an act of imagining – a vast structure of beautiful glass threads, encompassing and threaded through out all of creation, such that as some uncreated Light reflects and refracts in and through, there is a glorious brilliance of colours and lustre beyond any human artifice. Such beauty as we cannot begin to comprehend, although we may have ‘seen’ a slight echo of it, seeing a view that ‘took our breath away’. These glass threads or strings are not still, but as they are beautiful to behold, marvelously they also vibrate Sounding a symphony the like of which we have never heard but perhaps once again we have ‘seen’ the merest reflection of when caught in an ecstatic moment listening to a great orchestra. But . . . let us return for a moment to Martha. Her condition is also ours. She is distracted, and she does not realise who Jesus is or where she is – thinking herself in ‘her house’. When we pray the Jesus prayer we are bringing our distracted minds into our hearts – making our way home. Next Week: Praying in the Name of Jesus. Discovering who we are. While you have the light, believe in the light, so that you may become children of light. So here we are, gathered together at the start of our Week in Community. A week in which we spend time considering the nature of our Life Together – Life Together. And what a great place to start: St Paul gives us a beautiful image of that Life Together in the language of The Body of Christ – where ‘If one member suffers, all suffer together with it; if one member is honoured, all rejoice together with it.’ A body in which ‘the members of the body that seem to be weaker are indispensable, and those members of the body that we think less honourable we clothe with greater honour,’. How different from the World. Teaching his disciples, in the hearing of the crowd, These are those blessed by God. If you want an example of how the values of the Kingdom of God are utterly incompatible with the values of the world, you need look no further. His disciples come to him – they are separated from the crowd – and here as often with Jesus, there is the offer of Grace in obedience and conformity to the words of Christ, but the possibility of leaving him, dissolving back in to the crowd. The broad and easy way, or the hard and narrow. For living faithfully as the Church, as the Body of Christ it is not possible to at the same time live in the world without severe trial and conflict. Trials and conflicts from which we have been insulated for many years, but which now are becoming much clearer. As the disciple body we stand between Jesus and the crowd – they see us, we see them. It is not a comfortable place to be, to be part of a community which adheres to a way of living, a Life Together which is in complete conflict with the World around us – and to fall neither into pharisaical condemnation of the World, for we know our status as sinners also, yet not to succumb to the temptation to melt back into the world, as so many do without hardly thinking about it. Mourning for the World and the path it has chosen, but not condemning. Poor in Spirit, knowing our only treasure to be Jesus Christ, for whose sake we have left everything . . .
And I think of those institutions which seek to work ‘Christian values’ into their life, but what place do such values have in the World in which we live? The way of the world wins out again and again. And humanly speaking that only leads to the sort of hopelessness, the fruit of which we see around us in despair or its fruit, mindless hedonism. The Way of Jesus is not ‘one thread in the rich tapestry of Life’, it Is Life. Life in its fullness, and the secret of the Church is the eternal life in our midst. Our gospel passage finds us as it were at the end of the beginning of the gospel – a turning point. Now among those who went up to worship at the festival were some Greeks. They came to Philip, who was from Bethsaida in Galilee, and said to him, “Sir, we wish to see Jesus.” So many have followed after Jesus wanting Bread, or healing of their physical infirmities, or justice in their suits with their siblings – NOW comes some who seek Jesus, for Himself. Greeks – proselytes probably – going up to the Temple to worship, but wanting to see Jesus. John does not tell us what happens to them – he wants us to hear those words, ‘we want . . .’ ‘We want . . .’ What do we want? What do we seek after here as the followers of Jesus in this place and at this time? What is the desire of our heart as the body of Christ at St John’s? This is the question Christ asks of us, every day, every week, and a question we must ask of ourselves. In our conversations these coming days it is perhaps worth holding that question in the back of our minds all the time ‘Are we looking for Jesus, or are we looking for the things of Jesus?’ ‘Do we desire God’s gifts or the Giver?’ God looks at the heart – what are we seeking after? The disciples coming out of the crowd, the Greeks seeking Jesus – the Gospel’s Grace filled, and utterly merciful contradiction of the World becomes clearer and clearer. The contrast – Light and Dark – harder to ignore. And as those disciples must surely have felt the pull, to sink back into the obscurity of the crowd, so too at these times in the Life of Jesus, people fall away, notably of course at the Cross itself. Our three portions of Scripture point us in a common direction, towards the human predicament and God’s answer to it. When we consider our own lives, let alone the whole world, we may have many views on the nature of the human predicament, but whatever we see out there has a common source, one with which we are all familiar – our failure to Love God with all we have and all we are and our neighbours as ourselves. This failure is in the end a failure of belief. To believe in Jesus is to accept his diagnosis of our condition and to come to him for our healing. Part of our particular difficulty in this regard is because we live in an age which, even within the church, divides out the Spiritual and the Material or Physical. So our faith only applies to certain areas of life. We see this in the Church – here in our Diocese the Church is on its knees, at least metaphorically, and we wonder what is to be done. But rather than Believe in Jesus, turn to Him in repentance and Faith and Prayer, we try to fix structures, or find money, or have initiatives, none of which address the Source of our problems, that of unbelief. For most of us most of the time, our hearts and minds are far from God. We in our pride, buttressed by confidence in our modern technological triumph over God’s Creation, which has brought it to its knees, think we can pretty much fix things ourselves. But the problem is this. We are like blind Guides. We do not see the Spiritual depth of our predicament, many for example barely think Church in any sense necessary. We think despite all the evidence to the contrary that the world is full of people of good will and we can fix it all ourselves thank you very much. We think we can get on without God, even in the Church. The God of Abraham and Isaac and Jacob is all but unknown to them. And so as God in his love and mercy leads them out of slavery, he takes them into the wilderness there to learn that their lives are Gift and come from Him, that He is their life, that apart from Him they have no good thing, just slavery and death. Certainly it would benefit us much in the Diocese were we just to spend the next year meditating upon that truth, God, made known to us in Jesus Christ, is our Life – apart from him we are nothing, apart from Him we have nothing, apart from Him, all our deeds are as nothing worth. Here we are in Lent, which takes us back to the context of the wilderness that they and we must learn, and as we hear today, they like us prefer life on their own terms, so they turn against God, they turn against Life – and so snakes are sent amongst them, because turning from Life, all is death. Which explains why Moses is instructed to make a dead snake, a copper snake, a snake with no life and hold it before them. They need to see and believe that God has the power to conquer death. They see there death defeated, and believing, they are healed. They have passed from death to Life – and so have we. As St Paul puts it – ‘You were dead through 9those deadly snakes of ) the trespasses and sins in which you once lived, following the course of the world’ – living pretty much as everyone else around you lived – and thus ‘following the ruler of the power of the air, the Spirit which is at work amongst those who are disobedient.’ He goes on to tell of our deadly predicament ‘in the passions of our flesh, following the desires of our senses, by nature children of wrath’ Why did we then not share all we had with all who are in need? Because we were held captive by fear which fed our our own desires for safety, for comfort, for life that was no life at all – what we might call ‘ordinary life’ which is under the judgement of God in Jesus Christ. Last week one of the youngsters on our confirmation course suddenly piped up ‘I’ve just had a thought! If everyone loved one another, there would be no need for money’. Just let that thought sink in for a moment. If everyone loved everyone, there would be no need for money – everything would like the Life of God which would be revealed, everything would be Gift. Think how different that world would look. Then think again about our evaluation of the world . . .
Paul having painted the picture of our predicament then goes on with two of his favourite words . . .‘But God . . .’ Israel was in slavery in Egypt, facing death daily, ‘But God . . .’ You were dead in sin and trespass ‘But God . . .’ God’s alternative reality is so Different, that in the midst of our stories of sin and suffering and death, His Word is like the most dramatic full Stop. All of a sudden in utter darkness there is a blinding light, Israel is rescued from out of the hand of Pharaoh, and we too experience God’s refusal to allow darkness to triumph in the life of his children . . ‘But God, who is rich in mercy,out of his great love with which he loved us even when were were dead in our trespasses, made us alive together with Christ’. Jesus is the one who by death tramples down death. When we look to the Son of Man lifted up from the earth in Faith we see our truest healing. He is the One who takes upon himself all that keeps us from God, all our disobedience, all our contentment with that which does not give life, all our lack of Love for God and one another and takes it to the grave where it belongs, so that we who in truth do not belong there might be set free to Love God with all we have and all we are, and to Love our neighbours as ourselves, and, who knows, perhaps to live such a life together as the people of God that we begin to do away with our slavery to money . . .
A more helpful understanding of Sin. First we have considered that when we pray, we are entering into something far greater than our own senses perceive. St Paul paints a breathtaking picture for us of Jesus Christ who is our Life and the one to whom we pray. We used the illustration of Resonance – or lack of – it to think about our lives in the light of this Reality. In the same way that the better we were conversant with the culture of the song we heard in the first week, the deeper its impact might be upon us. So the more closely our lives conform to that of Jesus, the better they resonate, indeed Resound with His great hymn of Love and Life. Then we considered how to some extent we knew within ourselves this separation between the Reality of the Life of the Risen Christ and our own. We reflected upon the powerful story of Jesus healing the paralytic. Of how Jesus’ deepest act of healing is the forgiveness of his sins, and how the physical healing was almost incidental. This relationship between Sin and illness is very significant, but we also were reminded that in our culture the tendency to individualise our existence, not to see our lives woven together, might lead us to either make simplistic connections ‘you are unwell because you have sinned’, or rejecting those suggestions, to suggest there is no connection. But from the earliest times in the Church, Sin was understood in terms of a form of illness, indeed a form of madness – a terrible contradiction of our true nature as God’s children. [It is perhaps interesting to reflect that in this age where often people scratch their heads regarding physical illness and its relationship to the Love of God, our perception of Sin is very weak.] This understanding of Sin however is perhaps not the understanding we have been taught or grown up with in the home and elsewhere. However it is the understanding which continues to be the understanding of our brothers and sisters in the Orthodox tradition of the Church in which this prayer took root and continues to flourish. Our Western understanding of Sin owes much to something which happened almost 1000 years ago, when the church divided. To the East the Churches of Byzantium, to the West the Church of Rome. In the immediate aftermath of this split, the Church of Rome underwent several changes, one being that there was a move to what we might call a ‘Juridical’ model. Rome of old had been the seat of what we know as the ‘legal’ system, and the theology of the Western Church had always to a degree been influenced by this, but without the modifying effect of the Greek based Eastern Churches, ideas which have their roots in legal systems began to profoundly affect the teaching of the Church on Sin. So Sin as a condition took a back foot, and sins, the symptoms of the condition came to the fore. It was in this Juridical atmosphere that the idea that upon the Cross God was punishing Jesus for ‘all the wrong things we have done’ (as a Christian song has it) – the doctrine of Penal Substitution came to the fore. A ‘sinner’ in this regard instead of someone who is bound – paralysed – by sin and cannot do what they desire in the deepest part of their hearts, like a form of sleep paralysis, became no different to someone who had committed a civil offence and ended up in the courts. The Eastern Church continues to teach that Sin is as it were an illness of the Soul – a form of Captivity or soul paralysis. We are held captive by Sin. Indeed their diagnosis is far deeper than that in the West, where Sin is ‘our ongoing tendency to do naughty things’. Seven deadly sins . . . or Ten paralysing Passions? The Eastern Church teaches that the root of our problem is the distortion of our desires. Desire, which is create Good – gets distorted. Put simply ‘We do not Love God, we do not even want to Love God’ The distortion of our Desires are the Root of our illness. It is important to note that all of these Distorted desires have the effect of distracting us from the Source of our Life, that is The Risen Christ. This is our problem. The Wages of Sin is Death, not in the sense of a penalty, but a natural consequence. Our Life is in Christ. All that distracts our attention from Him is cutting us off from Life. Of course The benefit of our continual praying the Jesus prayer is in this respect two fold – it directs our attention to the source of Life, who is also the One who can heal . . . And it also points out something else which the Western View obscures. Obviously if we do something wrong, we commit a sin, there is nothing we can do to to undo what we have done – but if our essential problem is that we are sin sick, then as with any condition, we can participate in our healing. There are things we can do which either help or hinder the healing. Within the Eastern tradition, The Jesus Prayer is The prayer response, and we will look more closely next time at this – How do we take up our mat and walk? But for now we must attend to one key aspect of praying this prayer which we must needs be aware of. Our Enemy, and the Eastern tradition is not coy about The Evil One, is very content with this state of affairs. Leave things undisturbed – but if we invite Jesus in, then things get stirred up!! So it is VERY common to start praying the Jesus prayer and realise that we are in deep deep trouble! They went to Capernaum; and when the sabbath came, he entered the synagogue and taught. 22They were astounded at his teaching, for he taught them as one having authority, and not as the scribes. 23Just then there was in their synagogue a man with an unclean spirit, 24and he cried out, ‘What have you to do with us, Jesus of Nazareth? Have you come to destroy us? I know who you are, the Holy One of God.’ 25But Jesus rebuked him, saying, ‘Be silent, and come out of him!’ 26And the unclean spirit, throwing him into convulsions and crying with a loud voice, came out of him. 27They were all amazed, and they kept on asking one another, ‘What is this? A new teaching—with authority! He commands even the unclean spirits, and they obey him.’ 28At once his fame began to spread throughout the surrounding region of Galilee. 40 A leper came to him begging him, and kneeling he said to him, ‘If you choose, you can make me clean.’ 41Moved with pity, Jesus stretched out his hand and touched him, and said to him, ‘I do choose. Be made clean!’ 42Immediately the leprosy left him, and he was made clean. 43After sternly warning him he sent him away at once, 44saying to him, ‘See that you say nothing to anyone; but go, show yourself to the priest, and offer for your cleansing what Moses commanded, as a testimony to them.’ 45But he went out and began to proclaim it freely, and to spread the word, so that Jesus could no longer go into a town openly, but stayed out in the country; and people came to him from every quarter. Jesus steps into the world and all of a sudden sickness and demons are everywhere! We tend often to think of the presence of Jesus as far from disturbing, after all, what business does he have with us? He is here to comfort us in our difficulties, not make more for us 🙂 But of course he is not making difficulties – He is All Light. When we invoke him in prayer – light shines, which the darkness cannot stand and starts to kick up a fuss. The pond is stirred and all of a sudden we realise things are a lot murkier than we might have thought. One Important note – Jesus never exposes more than he gives us grace to cope with and we pray MORE fervently Jesus Christ have mercy on me a Sinner. Our approach to Spirituality in the West – a word not used in the Eastern tradition – can leave us is a dangerous state. We do not do this walk together we need experienced guides. Even basic meditation should really be always an accompanied journey. The Jesus Prayer as we have been exploring lies within a powerful apprehension of Tradition as ‘ the living faith of the dead’ – or perhaps better, ‘the living faith of the cloud of witnesses’ [Abraham rejoiced that he would see my day; he saw it and was glad] At the heart of The Tradition is the Liturgy of the Church, both of which in modern terms are seen as somehow a barrier or irrelevant to the Spiritual Life. The Tradition understands them as indispensable, indeed that to journey without them is at best most unwise, at worst perilous in the extreme, or madness. In both the East and the remnants of the once common tradition in the West, any ‘individual practice’ must be rooted in the shared life of the worship of the whole church. In this respect we think especially of The Prayers; Auricular Confession and the guidance of Elders; Study of the Scriptures (and we might add, the writings of the Saints); and The Eucharist. The Jesus Prayer is a practice of the Church and can only be fully apprehended within this context. Second we have problems with words. What I mean by this is that certain words have unhelpful resonances for us. For example, as illustrated above ‘The Church’ is a phrase which generally as people with a largely Protestant heritage we have an inbuilt problem with. We may well think – what is the Church? In some respects we think ‘it may be helpful to me and my journey’, but in others it is like practices ‘disposable’. No doubt, some of this is a deep unconscious apprehension of troubling Church history, when as we all know, the Church has born little resemblance to The Body of Christ. One of my churches in England was a little older than the other, 800 years older – roughly. 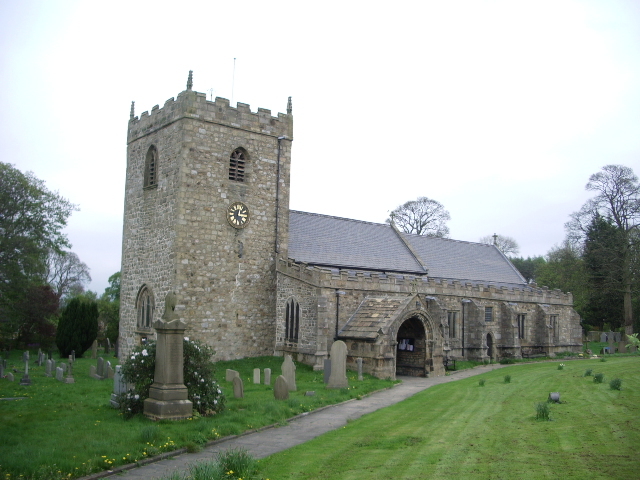 Actually we have no idea how old Gisburn Church was, we only had the date of the first recorded Vicar in 1124. When we were considering some building alterations to the other church in my care including the possible removal of some pews, someone remarked – ‘why can’t we keep it the same, just like Gisburn has been over the years’ I wanted to laugh, but instead tried gently to point out that the original form of the building was unknown, buried under many many changes over the years. Not least the arrival of pews in the 17th Century – following the reformation. Over the years it had seen many things, many changes. It’s tower was castellated as it was built in an era when the Scots were wont to roam that far South and so it provided a place of refuge and defence. Oliver Cromwell had stabled his horses in it prior to the battle of Foulridge in the English Civil War, and as most medieval churches it had served as a place for storing what passed for the local fire engine, and of course hosting the market. An imaginative Vicar would have had little difficulty summoning up the scene which confronts us in our gospel, as Jesus went into the Jerusalem temple, confronted by sheep, cows, doves and all the mechanisms of financial exchange . . . the Temple was the commercial hub of Jerusalem – although it hadn’t been around nearly so long as Gisburn Parish Church 🙂 The Jerusalem temple that is, this great Edifice of Herod the Great, under construction these mere forty six years – it hadn’t even been around as long as this church 🙂 500 years previously, the Jewish people had returned from exile and set about the task of rebuilding on the site of Solomon’s Temple, but Herod decided on a huge rebuild programme. It was Vast and said to be coated in Gold Leaf – such that it was almost impossible to look at as the suns light reflected from it. Keeping up the Temple was literally life draining from the people of God – indeed it was said that slaves were also bought and sold there. The Temple was in many respects a vast idol – which enslaved the people. As the Church in Gisburn was seen as in many ways central to the village, even by those who only darkened its doors for funerals, and many people helped pay for a new roof – so far far more so Jewish identity was inextricably linked to the Temple – this was why they had gone to So much trouble after the exile to rebuild it, and why those in authority thought nothing of the tax, or the other burdens of upkeep to the vitality of the people. Jesus in his appearing is like a laser guided missile, aimed right at the very heart of this Identity. In every gospel THE confrontation with the Pharisees and the rest which provokes calls for his death is the Identity forming Day, the Sabbath. And second, the identity forming place the Temple. We might say that the Jewish sense of who they were rested on these two pillars one in time and one in Space, Sabbath and Temple. From the beginning of the story of the forming of Israel, by God’s majestic act of rescue from Slavery in Egypt – He had dwelt in their midst. In the wilderness – which we travel through in Lent. No trappings of luxury. The Ark of the Covenant, containing the Ten Words on the two tablets of stone – overshadowed by a pillar of cloud by day and fire by night – there in the Tabernacle in their midst. But Israel did not listen to the Word, that the God who had brought them out of the land of Egypt and thus entreated them – you shall have no gods before me, was not a God who dwelt in houses built by human hands. The God who frees from slavery is a God who is radically Free, and commands the true freedom which is found in obedience to His Life Giving Word made flesh. Each of those Ten commandments was about Freedom. Do not be enslaved to other Gods, do not be enslaved to Idols, Do not try to enslave me by using my name to back up your plans, do not be enslaved to work, know who you are honour your father and mother, do not be enslaved to other identities, do not be enslaved by the passions and deisres that are murder, adultery, theft, stealing, false witness – and do not be enslaved by things in covetousness. God is Freedom and His people should be, but in beuilding a house of stone, they themselves have once more become enslaved to the project of its upkeep . . .
And the significance of the Temple conflict is brought into sharpest focus in John’s gospel. John moves the clearance of the Temple from Jesus last week, to the beginning of His ministry, his first truly public appearance – the first place where he makes himself known amongst the crowds. After a quiet appearance at the Wedding in Cana, he Erupts onto the public stage, In the Temple. Consumed by zeal as Psalm 69 recounted ‘it is zeal for your house has consumed me’ – the prayer of a righteous man suffering untold persecution, the prayer of one who loves God with heart and soul and mind and strength and thus cannot bear to see what has become of the dwelling place of his Father. John is saying – THIS is what he has come for – the Sign? Destroy this Temple and I will rebuild it in three days . . . Destroy this temple, and I will rebuild it again in three days – Jesus Christ. The place where we meet God. The word became flesh and Tabernacled amongst us. 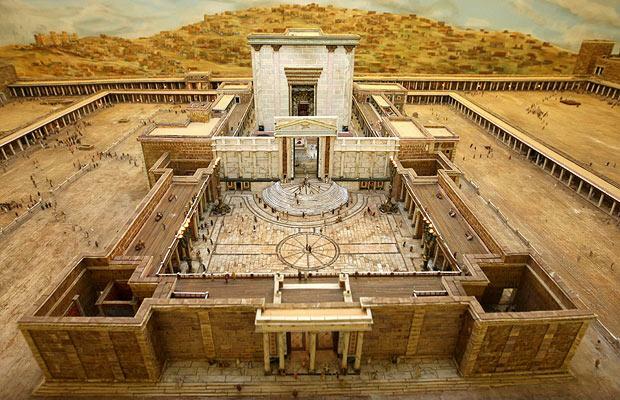 For all the brilliance of Herod’s Temple, it is as nothing to the brilliance of God made known to us in Jesus Christ and we have seen his glory . . . say John. Whoever has seen me, has seen the Father says Jesus as he tells of a house with many mansions . . . many many mansions – we dwell in Him and he in us. And he comes with a refining fire. He Cleanses the Temple – drives from it all that keeps us from him. Through Lent we participate in that refining, that cleansing as we consent to have all that hinders us, we lay aside all that keeps us from Him and his nearer presence, we consent to have it stripped away, in our individual lives and our Life together. No longer slaves but finding our true freedom in obedience to the Word that frees, the Word that Lives for Ever, the Word made flesh – that we might be a fit place for the dwelling place of God, as the Body of Christ in This place. 2. Jesus and healing. Sin and Salvation. We also spoke last week of Resonance. Of how God’s intention for all Creation, renewed in Jesus Christ is that it Resonates with his Life and his Love. That in and through our lives, He is perfectly revealed and made known within His Creation. In that we recognise our predicament, we recognise that we are ‘out of tune’, ‘off key’, and we do not recognise the language of the song, as we did not to one degree or other resonate with Kate Rusby’s song. Yet, we often pray as if ‘we knew what was what’. This ancient prayer has its roots in the address of so many of those whom Jesus met – yet one might note that it is never heard on the lips of those who plot his destruction. It is the prayer of those who recognise be it ever so faintly that they are not well and that Jesus the healer is in town. When Jesus returned to Capernaum after some days, it was reported that he was at home. So many gathered around that there was no longer room for them, not even in front of the door; and he was speaking the word to them. Then some people came, bringing to him a paralysed man, carried by four of them. And when they could not bring him to Jesus because of the crowd, they removed the roof above him; and after having dug through it, they let down the mat on which the paralytic lay. At once Jesus perceived in his spirit that they were discussing these questions among themselves; and he said to them, ‘Why do you raise such questions in your hearts? Which is easier, to say to the paralytic, “Your sins are forgiven”, or to say, “Stand up and take your mat and walk”? What do we notice in this passage? What catches our attention? o The Crowd – a sign of the evil that seeks to smother Jesus throughout Mark – eg Mark 5:31. The Jesus Prayer is the prayer of the one who wants to be healed – one who may well sense the evil pressing in, and even more, perhaps within. o The physical healing is a Sign of his authority to forgive sins. The healing which seems to us greater is actually here a Sign. Jesus heals the man physically in order to show that he has authority to make us truly well. The early church over and again refer to Jesus as ‘The physician’, and whilst there are many recorded physical healings, as throughout the gospel account, they are referring to the deeper healing, that from Sin. But what is the nature of this healing? With the paralytic we are aware of the physical healing, but what is the outcome of the forgiveness of sins? o Here note the reaction of the scribes ‘Why does this man speak in this way? It is blasphemy! Who can forgive sins but God alone?’ . . .
We might tend to think, understandably but erroneously, that Jesus natures, human and divine, are separate. That some things he does out of his divinity, and some he does out of his humanity. So, ‘he heals out of his divinity, but walks and eats and suffers in his humanity’ – but this is because we have lost sight of the nature of our humanity – of who we are. Jesus reveals to us who we are. o the Son of Man has authority on earth to forgive sins. Upon the Cross, God in the human Jesus is forgiving everyone for everything. o The Risen Christ, the first fruits of the new Creation, restores in us the Divine Image, the Divine Life in which we are to participate. In some respects our state is worse than at first. Having been set free we have allowed ourselves to be tangled up in Sin anew. This week, set aside say five minutes a day – find a quiet place and say the prayer over and again – with attention. Attention to Jesus, Attention to yourself. Whilst this is a prayer one can pray all the time, if we are going to Resonate, we need to start gently and attentively. A ‘space’ in which to do this is helpful. It must be said, when I ponder that dream and its meaning for me, the contemporary church also hoves into view. The stream getting narrower and shallower, perhaps a metaphor for falling numbers? And trying harder and harder . . . perhaps we need to get our bearings. To remind ourselves of one or two fundamentals . . . I have pondered often and long about why so many of us are at the very least hesitant about ‘sharing our faith with others’ – and the answer that came to me in the early hours of one morning this week was that we imagine the conversation in our head – a little like this. Really? What? We have been friends for a long time. Your life and my life – they are pretty similar – indeed in many respects you might say I have a better life than you, no? So how are the grandchildren doing then . . .
We have grown up in a culture which springs from Christendom – a world where ‘everyone was a Christian’ – God was in his heaven ‘watching over it all’, and all was well with the world. ‘God’ in this scheme was there to sort out the difficulties of our lives. Like a kindly chaplain, or a Spiritual plumber, or indeed a kindly parking attendant who found us that parking space we really needed or otherwise we’d be so stressed at that important meeting with the bank to discuss our mortgage . . . God is ‘there to look after us’. But of course, for our friend with whom we are in conversation, they pretty much manage to get along very well thank you very much without any of that, and also they have spare time on a Sunday to use as they wish . . . and of course should life’s circumstances become difficult then perhaps we don’t really need this church stuff anyway because God is there looking after us, or perhaps he isn’t and actually it doesn’t seem to really make any difference . . . after all there are lots of helpful guides to having a better life – some are religious, some aren’t . . .
Like in the canoe dream – people paddling harder and harder as the stream narrows and the water shallows. The church is busier than ever, getting the message out, endless committees, initiatives etc.etc.etc. ‘God’ becomes an ever vague shadow, out there, somewhere, perhaps?? Last week I concluded that we would do well from time to time, not to put ourselves in the disciples’ position, as they observe Jesus healing people, but rather to place ourselves in the position of those who are healed, in other words, In Jesus direct line of sight. And we all know Peter’s response – And Peter took him aside and began to rebuke him. Now let’s just pause at this moment. Immediately before our gospel reading, Peter has declared that which God has revealed to him, not what he has figured out for himself, what God has revealed to him, That Jesus is the Messiah, the Christ, the Anointed one, The King of Israel . . .
And Peter took him aside and began to rebuke him?????!!!!!! 3. The problem is ‘Our Lives’ . . . The problem is ‘Our Lives’. When we listen to what Jesus says, it seems utter madness, we are there with Peter. Jesus says ‘The meek shall inherit the earth’ – and we rebuke him saying, that’s a nice sentiment Jesus, but actually its the hard work and fine accounting skills, its our genius that will get us what we want . . . and the moth and rust will corrupt and if we store it all in vaults after our deaths, the thieves will break in and steal. I was in a church meeting a long way from here earlier this week, where the wheels of power were turning. We were planning and proposing. And someone gave a very lengthy account of a significant event in the life of the church and credited one person with all the credit and said how much we owed them by way of thanks, and no one batted an eyelid . . .
No one – myself included – said, ‘Let us pause and offer profound thanks to God without whom Nothing is possible. It was as if God didn’t even exist.’ We’d pulled it all together. We modern westerners are So in control of Our Lives – and thus the way we run them is in direct opposition to the way of Jesus – Jesus who says ‘The meek shall inherit the Earth’; ‘do not store up for yourselves treasure on earth’, ‘unless you become like a little child’ How could a child even begin to run the church as we do??? Jesus who says For those who want to save their life will lose it, and those who lose their life for my sake, and for the sake of the gospel, will save it. For what will it profit them to gain the whole world and forfeit their life? Indeed, what can they give in return for their life? As I was painfully reminded this last week by a friend, we miss the horror of what Jesus is saying here. The Cross has become a pretty item of jewelry – or we talk about it is terms of the sufferings that are common to all human kind, broken relationships, illness – ‘We all have our cross to bear’ we sigh. Jesus speaks to the whole people of God, who symbolised by Peter have their minds set on human things and faces them with something horrific. No one there, none of the readers of Mark’s gospel in the first 300 years will have not seen, in all likelihood Many Crosses, not hanging round people’s necks, but with people hanging on them. ‘You really don’t want to go there’, but Jesus says this is the Way. Pontius Pilate wanting to let people know where the real power lay, didn’t always bother with wood, bit of a waste, he would nail people to the walls of Jerusalem. Everyone knew the horror of it and had seen how literally excruciating was the death of the Crucified, over hours in unendurable agony. The utter destruction of a Life – indeed bodies were left there to be devoured by wild animals and birds. So horrifying that people could not bear to speak of it or write about it. Truly A Satanic tool. And So we come here, we confess our Sins, that once more we have lived for ourselves and not for Him who loves us, We feed on his word which is Life giving Like honey on our lips, we respond in words irrelevant to the World, the Creed, and in his infinite Grace and Mercy, he feeds us with His Very Life.